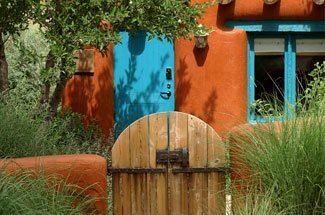 While there are many wonderful reasons to visit the charming city of Santa Fe, there is perhaps no greater draw to this area than to the unique, deeply rooted cultlure that has shaped every aspect of life in this beautiful place. At 400 years old, Santa Fe is the nation’s oldest capital city, and it’s a city that continues to get better with age. Santa Fe boasts a unique multicultural heritage and history where Native American, Hispanic & Latino, Anglo and other cultural influences are a part of everyday life, from the architecture and quaint shopts, to the music and cuisine, the unique blend of the Southwestern culture is everywhere around you, seamlessly blending the past through the fabric of present-day. 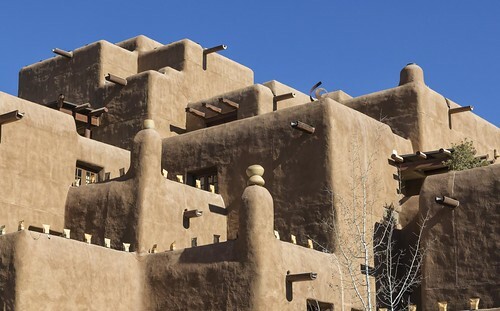 Now is a great time to book your room at our luxury Santa Fe Inn, and explore the timeless cultures, traditions, arts and beliefs continue to enrich lives today. The American Indians have occupied the Southwest for centuries, long before Spanish Settlers came to claim the land in the 1500’s. Though Native American populations in this region once flourished, today there are only 19 surviving Indian Pueblos, including the 8 that are located in the mountains just north of Santa Fe. These sovereign nation communities, amongst the oldest in the country, are each unique communities worth exploring, featuring their own distinctive traditions, ceremonies, beliefs, and even languages. A wonderful place to start learning more about this wonderful parts of Santa Fe’s heritage is the Indian Pueblo Cultural Center. The museum here has a permanent exhibit featuring a brief historical overview of the Pueblo world, as well as a contemporary exhibit featuring original artwork and craftsmanship of each of the 19 Pueblos of today. 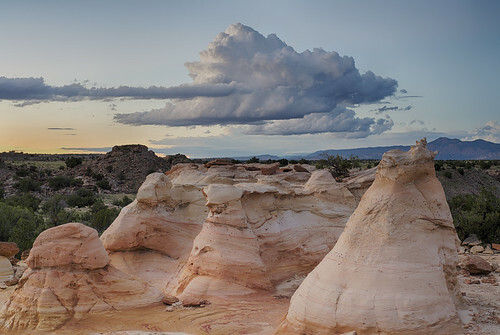 Popular Pueblo’s to visit include the Nambe Pueblo, near the popular Nambe Falls Recreation Area, and the San Ildefonso Pueblo, both of which have feast days coming up in January. While the pueblos are all open to visitors seeking a meaningful experience of Pueblo culture and traditions, it is important to understand and practice proper etiquette when visiting. The perfect time to visit these communities is during a ceremonial dance or a feast day celebration, as you’ll be able to see first hand the many ways that contemporary pueblos retain close connections to their rich past. While at the Pueblo’s, you’ll also have the rare chance to meet skilled artists practicing the traditions and techniques of their ancestors as they create their beautiful and prized Native American pottery, jewelry, weaving, sculpture and other art forms. 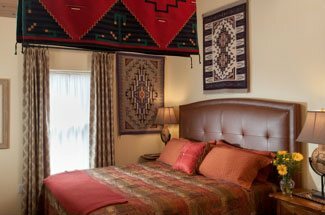 Book your room at your beautiful Bed and Breafkast Inn in Santa Fe, and spend the time exploring the Native American cultural influences around Santa Fe this winter.